Sylvæ, or, The second part of Poetical miscellanies (John Dryden and others), 1685 London : Printed for Jacob Tonson ... translations of various books of Virgil's Aeneid, Lucretius, Thocritus' Idyllium, Horace; OR Original poems and translations, by John Dryden, Esq; now first collected and publish'd together, in two volumes. 1743, London : printed for J. and R. Tonson in the Strand, [in 12mo], vol.2. Examen poeticum being the third part of miscellany poems containing variety of new translations of the ancient poets, together with many original copies by the most eminent hands. 1693, London: Printed by R.E. 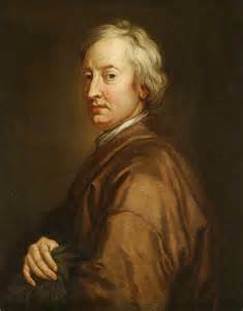 for Jacob Tonson; OR Original poems and translations, by John Dryden, Esq; now first collected and publish'd together, in two volumes. 1743, London : printed for J. and R. Tonson in the Strand, [in 12mo], v.1: 341pp., v.2: 339pp. Miscellany poems, in two parts. : Containing new translations of [brace] Virgil's Eclogues, Ovid's Love-elegies, several parts of [brace] Virgil's Æneids, Lucretius, Theocritus, Horace, &c. : With several original poems, never before printed. (John Dryden and others), 1688 London, : Printed for Thomas Chapman at the Chirugions-Arms over-against the Mews near Charing-Cross. Contnts appear the same as the two previous separate editions, and is the most likely of the early editions for SJ to have worked from for translations (if SJ used these rather than the 1701 Works).